"A light will reflect from a surface. Similarly, a function's negative portion will reflect in the x-axis when the modulus is taken. A ray of light originates from a position of (4,8) and hits the surface at an angle of 71.6 degrees." I'm not sure how to use the angle to figure out the gradient? Ah yes that rule, I remember now, thanks. Ah cheers, I was just assuming that the angle of incidence was measured against the normal (Physics knowledge ), hence why I used 18.4 degrees as the positive x-axis angle. Anyways, I'm having quite a bit of trouble understanding Absolute value graphs and how to draw them. I am familiar and can do the easy ones (linear, parabola and hyperbola) but I get stuck with drawing the square root function ones and some other complex ones. Looking for more of an explanation of what the hell we are supposed to do. I understand the flipping concept, just not how to obtain the certain values (points) when it has already flipped and how to do so. I hope my questions made some sense. Am taking in students for CHEMISTRY and MATHS METHODS tuition for 2014 as well as first year chemistry. If interested, pm me. Flexible with location. 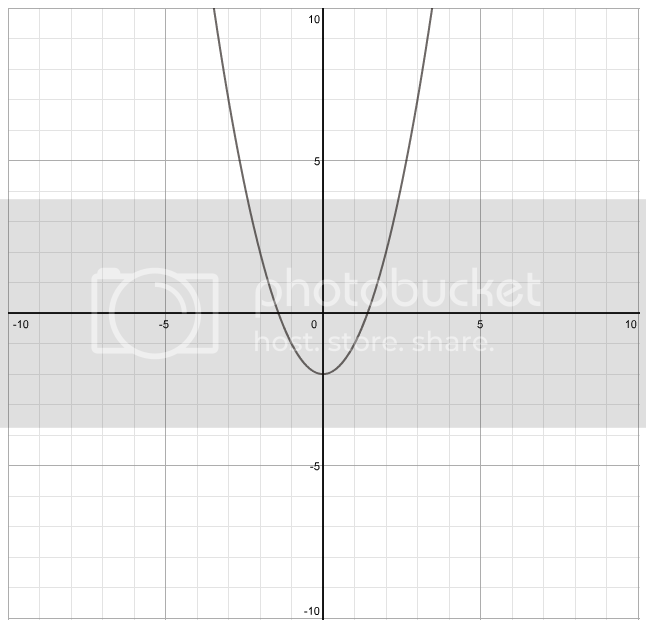 as a rule of thumb, when you get graphs of form f(|x|), then you get rid of the stuff on the left hand side of the y-axis and make a mirror image of what is on the right hand side of the y-axis. 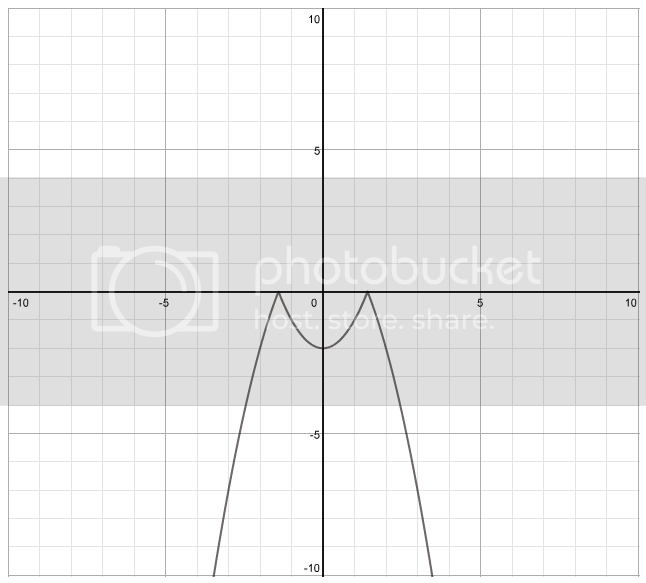 if you get graphs of |f(x)|, then reflect the stuff below the x-axis in the x-axis. 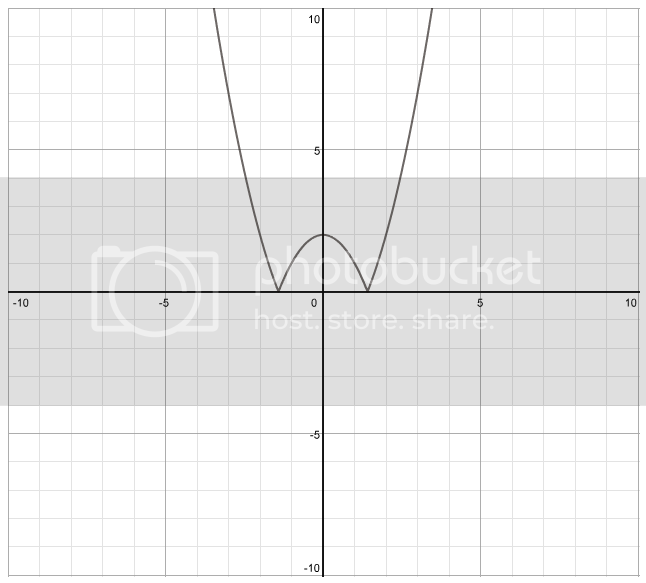 For example, for q4 e, sketch y = x^2 -2 first. then reflect the stuff below the x-axis in the x-axis. then reflect it again in the x-axis (due to the negative sign). then translate the graph 2 units up. Its easier to look at these from the original type of equation (which you need to identify as parabola e.t.c) and then apply the transformations. Q4e) look at just the |x2-2| part first. x2-2 is just x2 shifted down two units. So from that you can apply the mod, reflecting the negative parts of the graph in the x-axis. Hope that helps, have a go at the others, but if you really get stuck ask and I'll have a look. now the mod will make a negative value inside it positive and leave a positive value as positive. Do the same for the y-intercept and use the transformations to find the turning point. Apply the mod, all the negative y-values will become positive as it is flipped in the x-axis. 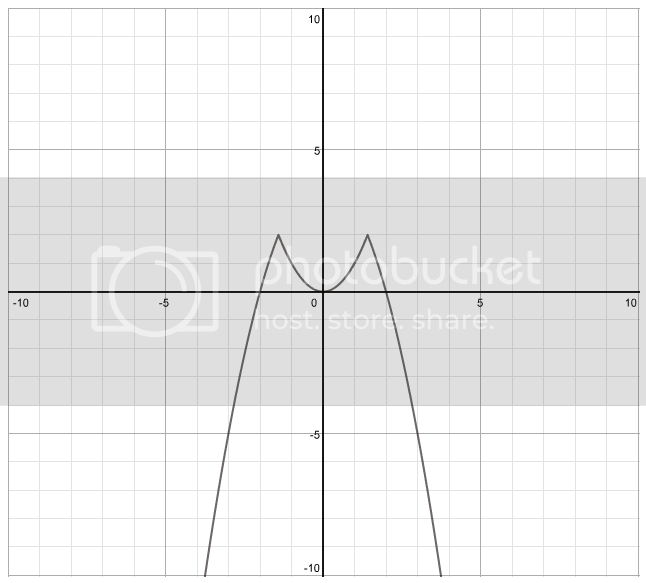 Then apply the whole reflection of the graph in the x-axis. Then apply the shift of two units up. So the only way to do absolute values is by the steps? I understand it now. Man, if teachers actually explained things properly then maths would be so much easier. If f(x)= -g(2(x+1)) +1 and g(x)= sqroot (x), fing f(x) in terms of x only without using a calculator? Tried using algebra, but kind of failed. so which one of these terms has a degree of 2? so the coefficient would be 0.